There is no shortage of information (and misinformation) on the subject of search engine optimization (SEO) these days. Yet every once in a while something cuts through the clutter. 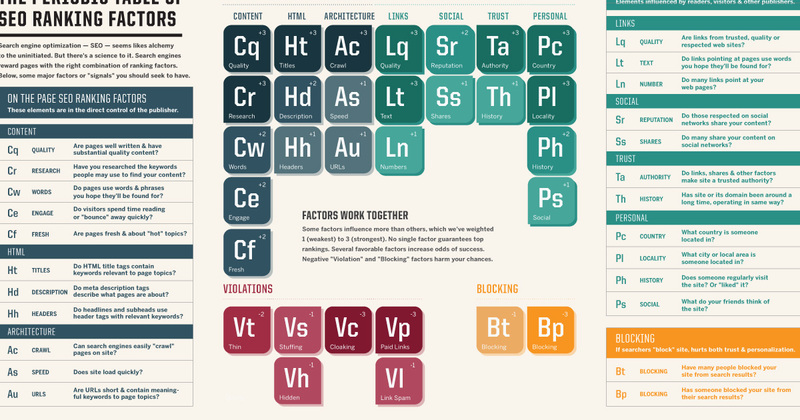 Such is the case with the Periodic Table of SEO Ranking Factors, created by the folks at Search Engine Land. 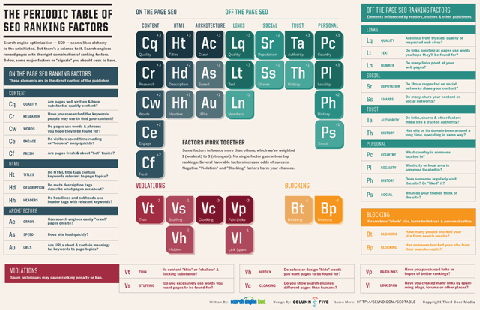 It presents some great SEO truths and debunks some common myths, all displayed in a way that appeals to my inner science nerd.